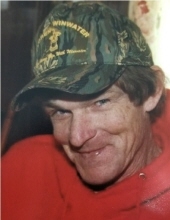 Rusty Jolly, age 62, of Maysville, Kentucky, passed away Sunday morning, January 20, 2019, at his residence. He was born April 8, 1956, in Fleming County, Kentucky, a son of the late Ervin Anderson Jolly Sr. and Opal Lillian Mattox Jolly. Rusty attended the Plumville Christian Church. He worked for U.S. Shoe in Flemingsburg for 25 years and Western and Lewis Water and Gas Company for 12 years. Rusty enjoyed fishing, watching Louisville Basketball, searching for arrowheads and spending time with his children, especially with his grandchildren. In addition to his parents, he was preceded in death by, one brother, Ervin Jolly Jr. and one sister, Darlene Jolly. Rusty is survived by his wife of 33 years, Paula Elaine Hord Jolly; two sons, Anthony Wayne Jolly and Emmanuel Scott Jolly (Bethany), all of Maysville, Kentucky, four grandchildren, Kyler Grooms, Macen Grooms, Addison Jolly, and Emmalyn Jolly; one brother, Denver Jolly of Hilltop, Kentucky; and one sister, Sandy Fleming (David) of Flemingsburg. He also leaves many other family members and friends who will sadly miss him. Funeral services will be held at 11 a.m. Wednesday, January 23, 2019, at Tollesboro Funeral Home & Cremation Services in Tollesboro, Kentucky, with Brother Jerry Boling officiating. Burial will follow in the Olivet Cemetery in Mason County, Kentucky. Friends may visit from 6 p.m. to 8 p.m. Tuesday, January 22, 2018, and after 9 a.m. on Wednesday at Tollesboro Funeral Home & Cremation Services, 11918 KY 57, Tollesboro, Kentucky, 41189. Jamie Jolly, Randy Jolly, Steve Hunt, Gale Hunt, Dean Wallingford, Rick Brown, and David Fleming will serve as pallbearers. "Email Address" would like to share the life celebration of Rusty Jolly. Click on the "link" to go to share a favorite memory or leave a condolence message for the family.